The US Virgin Islands is a veritable promise land for yacht charters seeking sugar soft shores, pirate lore, and the comfort of being in US Territory. Those traveling from the states can even leave their passport at home, and there is no stress for money changing or international bureaucracy. Still, these fresh faced Caribbean islands are a world away from the norm. Each of the islands boasts its own personality; from the pristine national park bliss of St John to the local lived in feel of St Croix, and the tantalizing tourist hotspot of St Thomas. 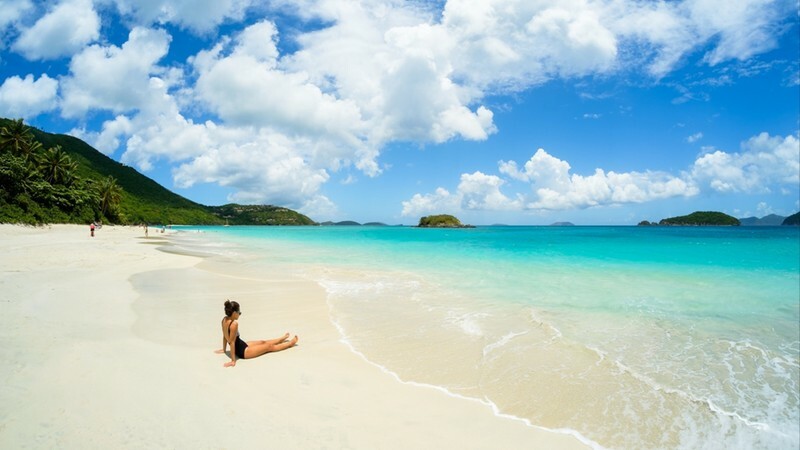 Make no mistake, the US Virgin Islands is a firm favorite for wonderful winter getaways. St Thomas loves to be first in line when it comes to carnival season, making it the first of the US Virgin Islands to don the feathers and pull out the drums. Yacht charters cruising these waters come April to May will witness the splendor of the VI Carnival. But the fun doesn’t stop there; St Croix throws down its carnival colors around Christmas and New Year and in-between St John will be partying hard – in short the celebrations come year-round on the high-spirited US Virgin Islands. Take the 99 stairs that lead up from Charlotte Amalie in St Thomas all the way to Blackbeard’s Castle. Possibly the most notorious pirate in history, the rumor has it that Blackbeard occupied this Danish built castle to run his fierce and fabled operations. Still, despite the lack of evidence the 17th century stone tower makes for an enticing place to throw back some rum and gaze out at the surrounding blaze of blues that make up the Caribbean Sea and the US Virgin Islands. Yacht charter guests looking to splurge when on the US Virgin Islands will be glad to hear that this spot boasts the highest duty-free allowance in the whole of the Caribbean. 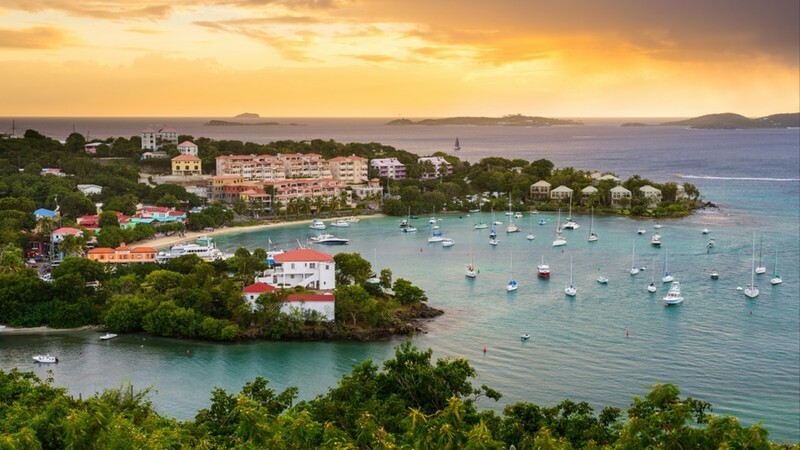 From the brilliant boutiques of Charlotte Amalie to the historic ports of call down in Frederiksted and Wharfside Village in St John, you can spend and splurge on amber bottles of rum, designer goodies and signature perfumes to take back home. Adventure comes easy in the waters made famous by pirates and explorers. There is something about the abundance of sunshine, exotic islands, and shimmering white sands that calls to yacht charters to take the intrepid route. Skydiving, regatta sailing, deep sea diving, sublime snorkeling, and coral reef races are all on the cards for those who want to tap into their more active side. If not, then there is plenty of room for R&R with seafood suppers, rum soirees and days lounging on deck. Busy, loud and proud – any yacht charter kicking around the blue hues of the US Virgin Islands are sure to swing by St Thomas as their first port of call. Beneath the clutter of tourism you will still see the striking landscape that makes the US Virgin Islands so alluring; jungle clad cliffs, turquoise hues and yacht dotted seas. 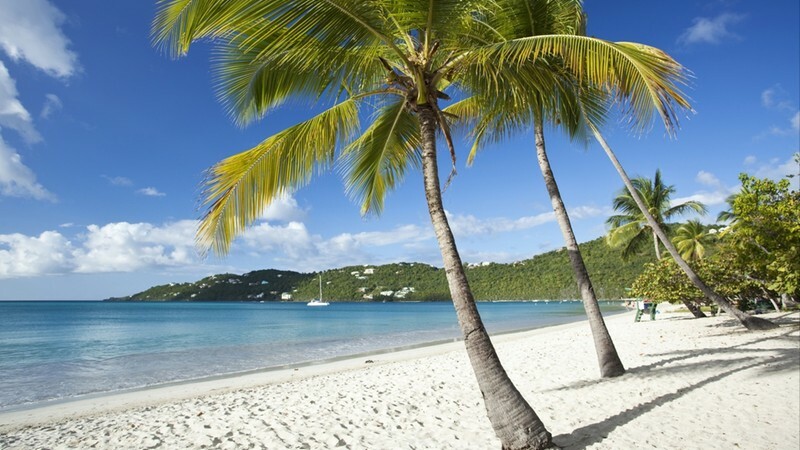 Magens Beach Bay has been hailed by National Geographic as one of the most incredible stretches of sand in the world and the duty-free shopping of downtown Charlotte Amalie will leave you laden with goods as you take the tender back to your boat. The largest of the US Virgin Islands, St Croix is something of a juxtaposition as it manages to retain an exclusive vibe despite the size. There is something of a wild feel about St Croix – with its rich plains racing to meet the sea, its fallen forts and sugarcane plantations, and its shaded rainforests. Christiansted is one of the most colorful and liveliest towns on the island, but for tranquil skies and contemplative days on deck be sure to anchor up to the north around the delectable diving waters of Buck Island. Beach lovers shouldn’t leave St Croix without dropping by Cane Bay – also said to be one of the best palm fringed shores in the Caribbean. Sweet St John pushes tourist life to the fringes and lets Mother Nature run wild. Two thirds of this sublime island are a protected national park meaning that beaches are dotted with turtles instead of sun loungers and the forests brim with flowering cacti and overhanging trees instead of rum shacks and resorts. Snorkeling and swimming are high on the list for yacht charters anchoring in this serene US Virgin Islands spot. Active adventurers can also hike into the interior to see the ruins of sugar mills and painted petroglyphs. The weather shouldn’t be a priority worry when taking a yacht charter around the US Virgin Islands – a more pertinent question should be – do we have enough rum on board? Still, for those who like to plan their play; the US Virgin Islands is best enjoyed outside of hurricane season so be sure to steer clear between the months of June and November. Thanks to its central position, the US Virgin Islands do tend to get hit. December to April sees the tourist peak for yacht charters especially around Christmas and New Year when carnival revelers flock to town.